Silicone molded lipstick bullets, multi-shaped bullet tips, lipstick bullet with core, slim-line lipstick bullets, miniature lipsticks, custom embossed bullets. Liquid lipstick, long-wear, sheer to full coverage. Pot, wand, tube, pencils (poured and molded), pens, roll-ons, sticks, and kits. We can accommodate all of your traditional and out-of-the-box packaging needs. Sky’s the limit with our patented technology. 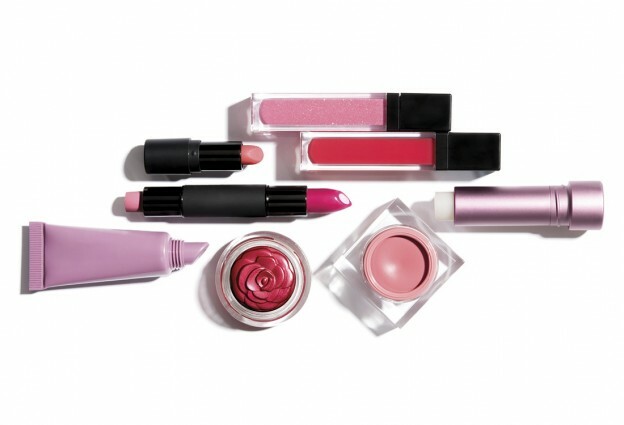 Lip stains, lip powders, treatments and balms. With extensive formulation, packaging, and specialty finishes, the customization is endless. Natural and organic, spf, long-lasting, anti-aging, waterproof. Whatever your story we can help you bring it to life in creative and efficacious ways.